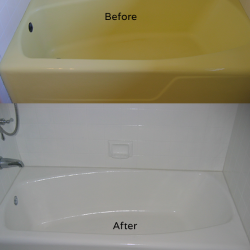 Many customers resurface their bathtubs and showers to change the color. 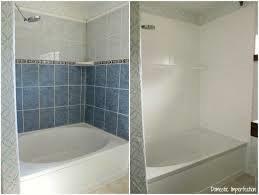 However, the majority of people resurface because their fiberglass shower or tub has lost the original finish. 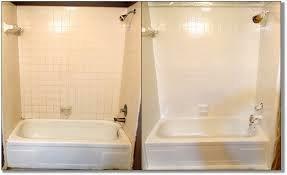 Or their porcelain/cast iron tub has wear, chips, and rust. 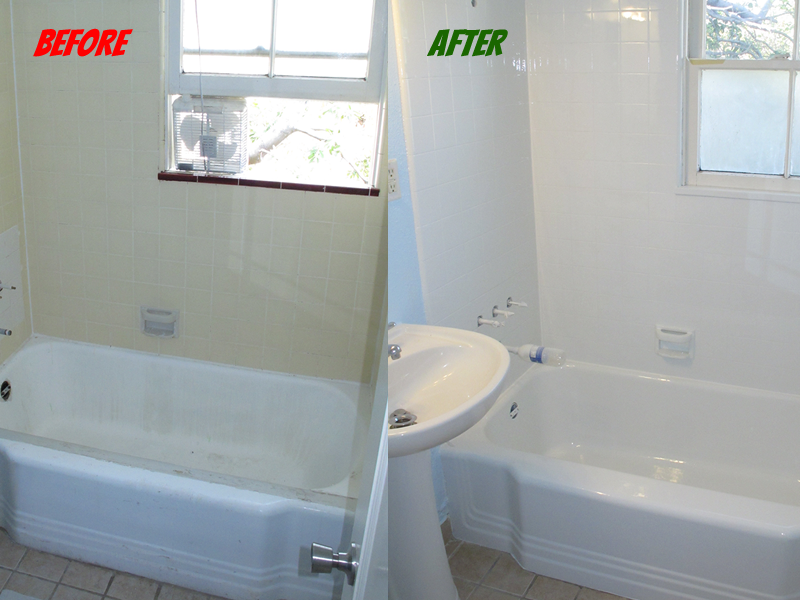 The result is the tub and shower looks ugly, dull, and is difficult to keep clean. 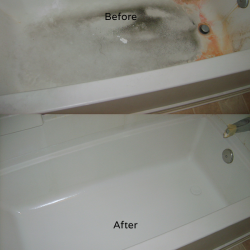 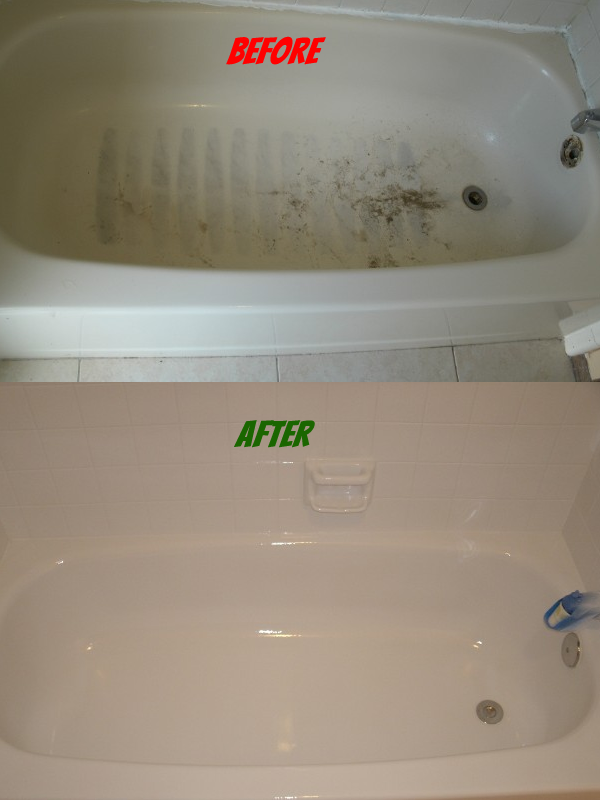 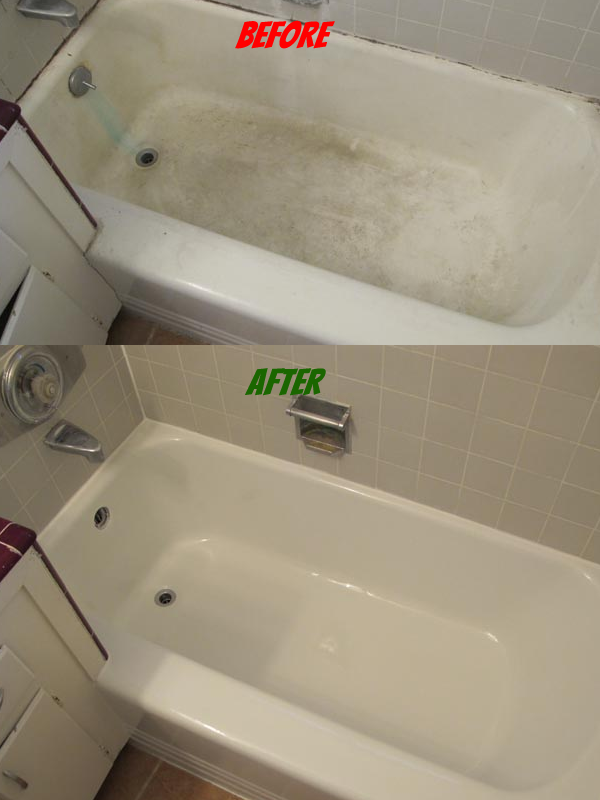 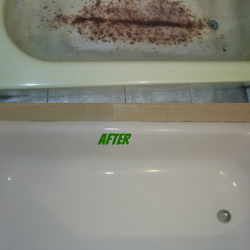 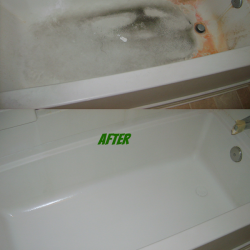 Over the years, all of the cleaning and water use wear away the original finish and the tub becomes porous. 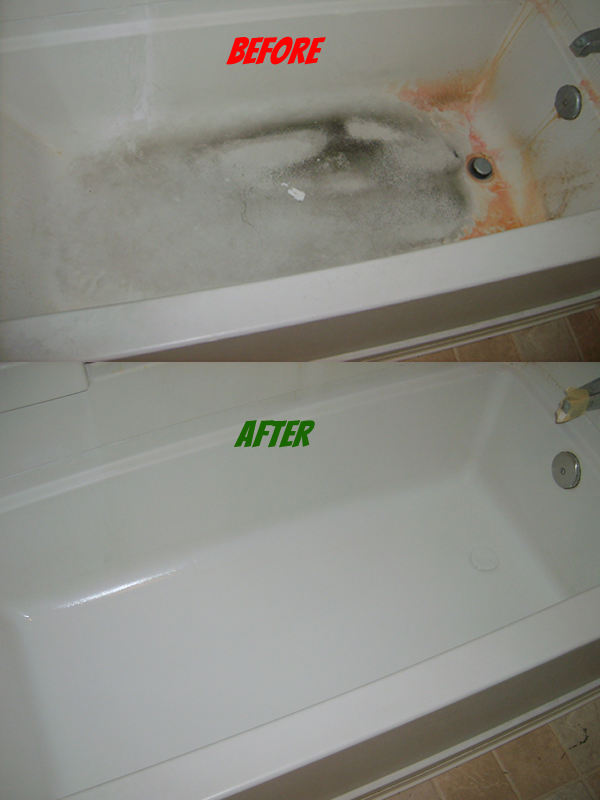 Then the dirt, grime, and hard water stains get trapped inside of the pores. 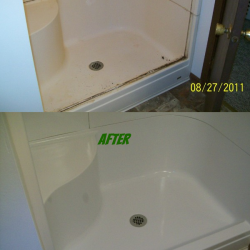 Water drips wear away the surface or Oops! — you drop something and chip the surface. 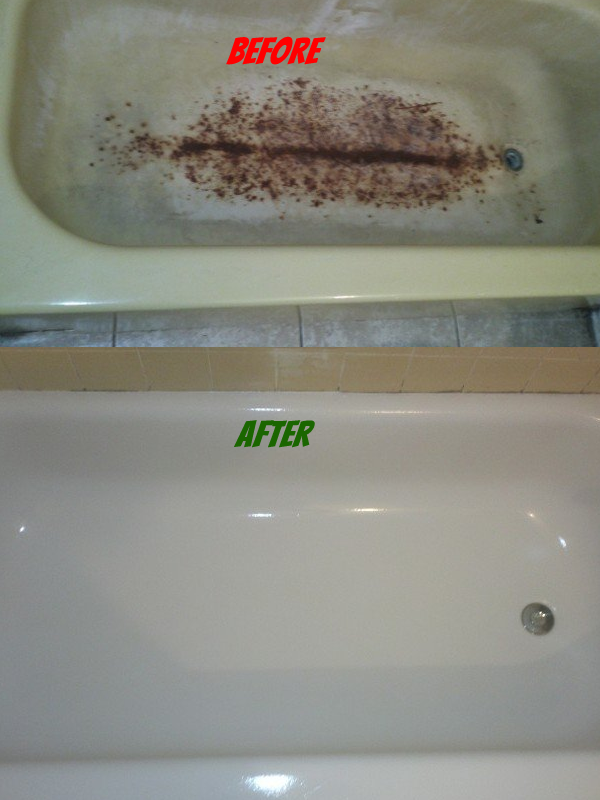 This is when the vicious cycle begins! 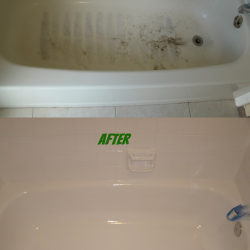 You may try to fix the problem using abrasive cleaners and a lot of scrubbing to get the tub clean, but this only wears away the finish even more. 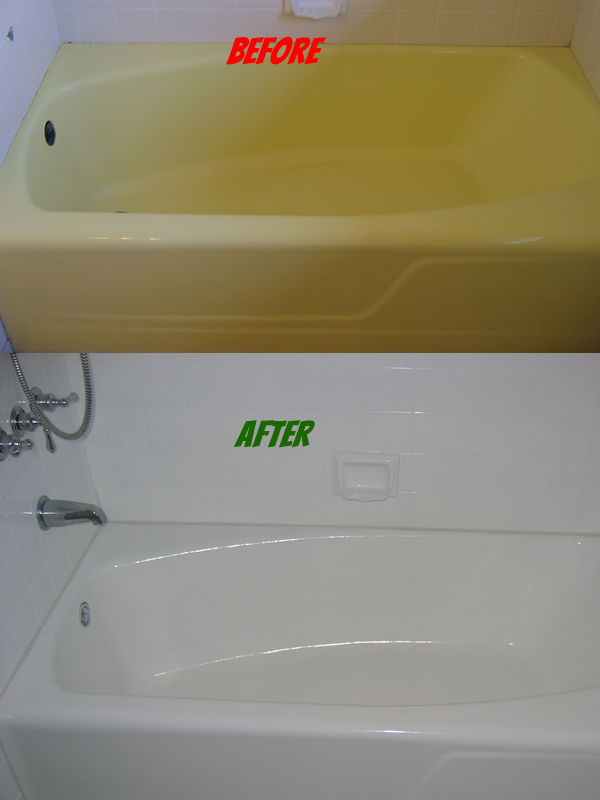 A new fiberglass tub or shower has a colored finish or gel coat applied to it over the raw fiberglass compound when it was originally made. Porcelain and pressed-steel enamel tubs feature factory baked-on coatings but over time these can become damaged. 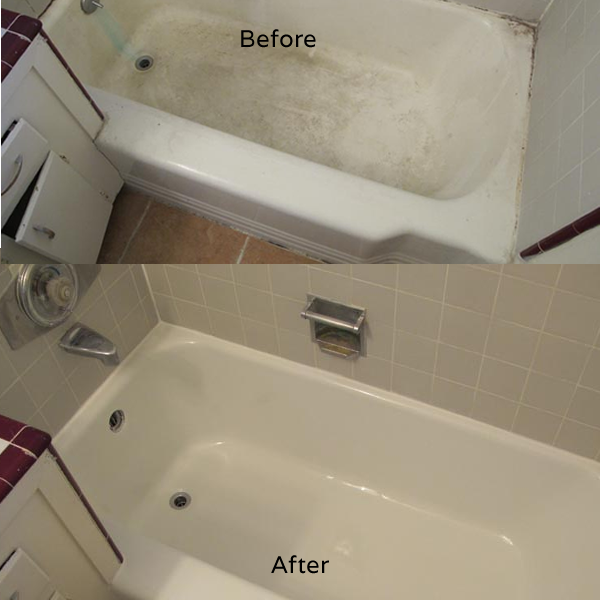 Bathtub resurfacing reseals the surface and restores the original look. 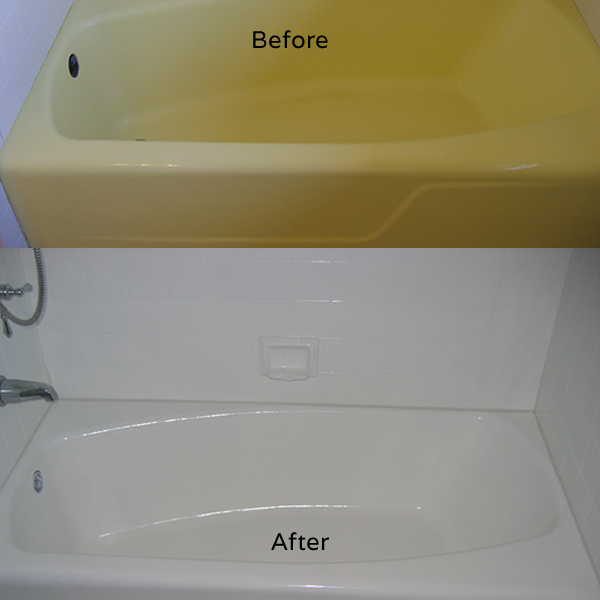 Expert Resurfacing provides beautiful, efficient bathtub and tile resurfacing that is both easy and cost-effective. 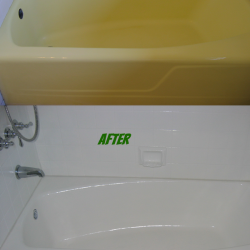 Our on-site, spray-on tub resurfacing process means no bathtub removal or demolition, no plumbing complications, and zero downtime. 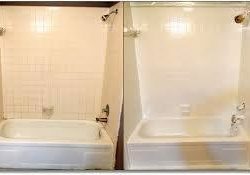 Our high-performance coating system restores porcelain, pressed-steel enamel, plastic, fiberglass, or acrylic tubs, sinks, and showers to a like-new condition. Our specially-formulated coating process does not require acid to prepare surfaces, therefore providing improved eco-friendliness — something other resurfacing products can’t claim. 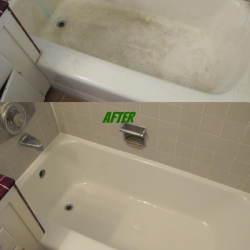 The result is that your bathtub or shower will look better, last longer, and clean much easier. 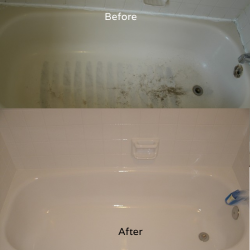 Our revolutionary products have a four-hour cure time when compared to most 24-hour turn-around times — you can even use your tub or shower the very next day! 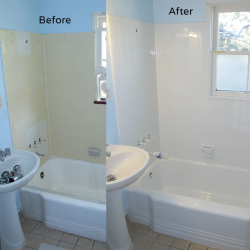 Our high-performance coating system is perfect for tile resurfacing and bathtub resurfacing and repair because it won’t peel, flake, fade, or lift. 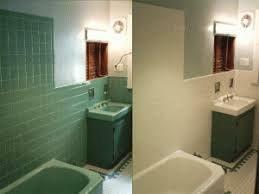 It also has excellent color retention and offers a classic high-gloss finish. 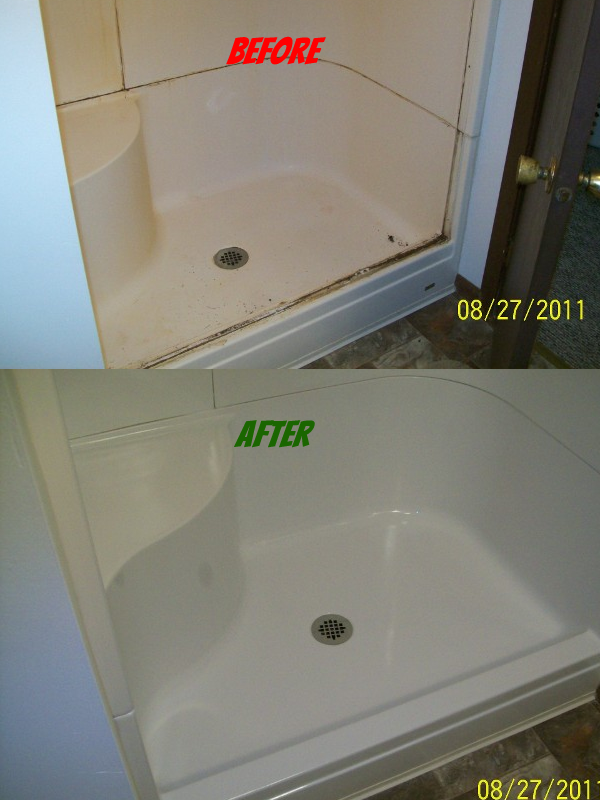 We can even add non-slip texture and a new drain! Every step we take to resurface a residential bathtub, sink, or countertop are the same steps we take to resurface a commercial tub, sink, or countertop. 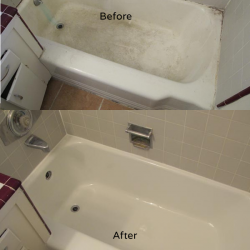 Have an antique claw-foot tub or pedestal sink? 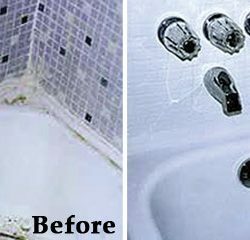 Why replace these valuable treasures when you can resurface them in your home, without having to remove them, and in just one day? 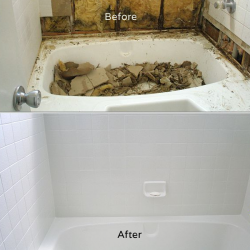 Call the professionals at Expert Resurfacing for bathtub resurfacing, tile reglazing, re-grouting, countertop resurfacing, and more. 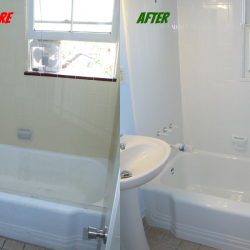 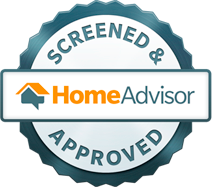 You’re just one day away from a new look, so contact us today!